$2.99 Launch sale! $0.99 for a limited time! Annie Heathcoat always dreamed of how her wedding was going to be. White kinetic fabric dress, the latest grav-heels and a sea of her loved ones all blinking away tears of joy. But this wasn’t a dream: it was a nightmare. Instead of her father giving her hand in marriage, he’s lost it in a game of poker to the galactic war criminal Strathmore. But if fate had dealt her a bad hand, it was time to flip the damned table and run. Captain Leo Ingram. Smuggler. Bear Shifter. Lover. Or at least that’s what his business card said. Not that the mewling merchant in front of him cared about any of that. This was a quick hand-off, merchandise for credits. Then he and his crew would be back aboard the Breakwater and off to the nearest trade port to drink and piss their ill-gotten gains away. But before they could finish the deal, a young woman stumbled out of the underbrush into their illicit business deal. Was that…a wedding dress? 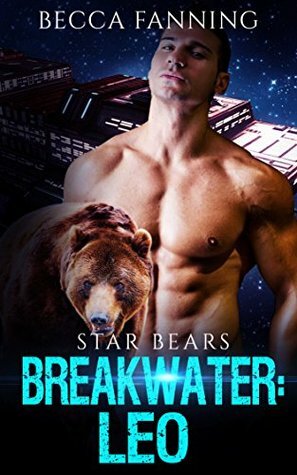 This 15,000+ word novella has hot Science Fiction Space Opera Bear Shifter action, a Happily Ever After, no cheating and no cliffhangers! I’ve attached some free stories afterward as my thanks to you. This is book 1. We meet the crew of the Breakwater. We meet Annie who is on the run. We see how they came together and what the crew has done to keep her safe. Is it enough? What is in store for the crew next? Will they be able to handle her problem?